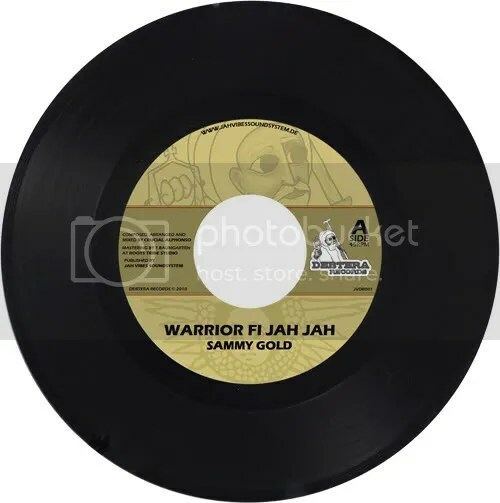 Cologne based Jah Vibes Soundsystem comes up with a tuff release called “Warrior fi Jah Jah” on it’s own label Debtera Records. The tune was voiced by Sammy Gold from UK, mixed and composed by Crucial Alphonso from Belgium and mastered by Tim Baumgarten from the Netherlands. The stock is limited to 500 copies and can be ordered from Jah Vibes (info[at]jahvibessoundsystem.de). Watch King Earthquake spreading the vibes on the Reggae Geel 2010.